NOTE: This entry is incomplete, please come back later. 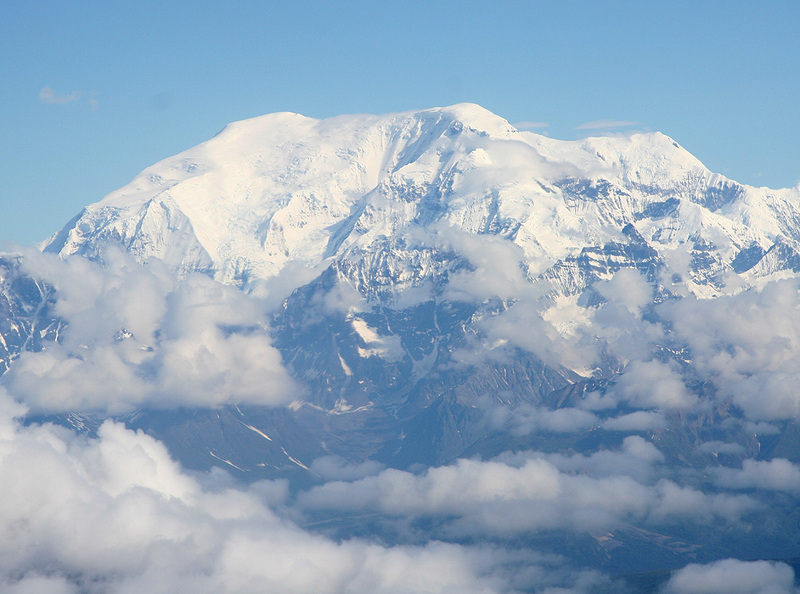 How to get there: This mountain is located in the Wrangell Mountains, part of the large St. Elias - Wrangell National Park. Your best bet is to arrive via Anchorage, then travel to Chitna and have Paul Claus fly you to the mountain. is also available (part of my Mount Logan report). Day 1: We flew with Paul Claus from his Ultima Thule Lodge on June 9th. He landed us very skillfully in the high basin at about 2900 meter, on the north side of the mountain. We immediately started up the very distinct north-west ridge and established camp at about 3900 meter. Day 2: We ascended the peak and returned to our camp at 3900 meter. Day 3: We descended back down to the base at 2900 meter. Day 4: We waited out a snow storm in order for Paul to pick us up. Day 5: We waited out a snow storm in order for Paul to pick us up. Day 6: We waited out a snow storm in order for Paul to pick us up. Day 7: Finally, in the late afternoon, we had a brief break in the weather and Paul was able to retrieve us and fly back to the Ultima Thule Lodge. Day 8: We flew to Chitna and transferred by truck to Anchorage. Comments: I did this most memorable climb with Espen, Helge and Åke. 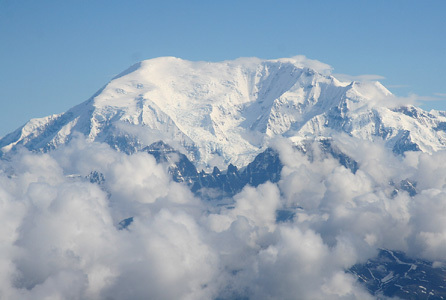 We had completed our primary objective, a climb of Mount Logan with some time to spare. Mount Blackburn was a very nice additional peak. Mount Blackburn. The highest point is on the left (north) side. Summit Panorama I. 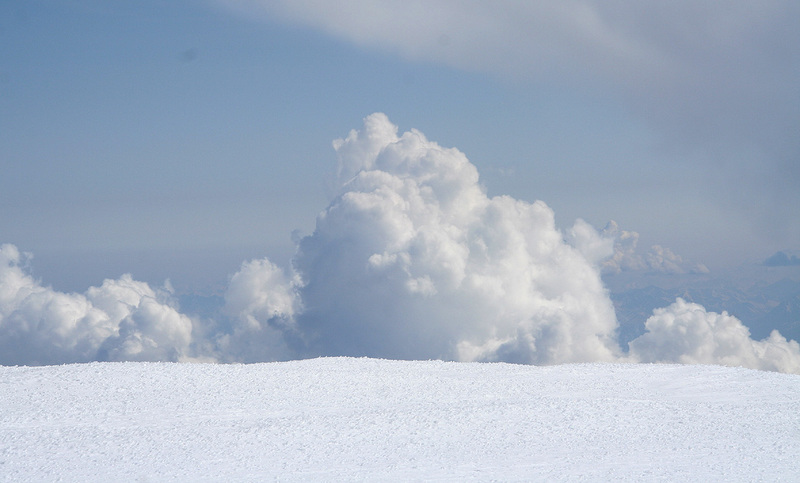 The dark cloud had thunder, we decided to make the summit stay rather brief.